Enjoy the rich look and feel of leather at an extremely affordable price. Nothing wears like this chair, which makes it ideal for heavy traffic reception rooms. Commercial grade bonded leather for clean-up is easy with mild soap and water. 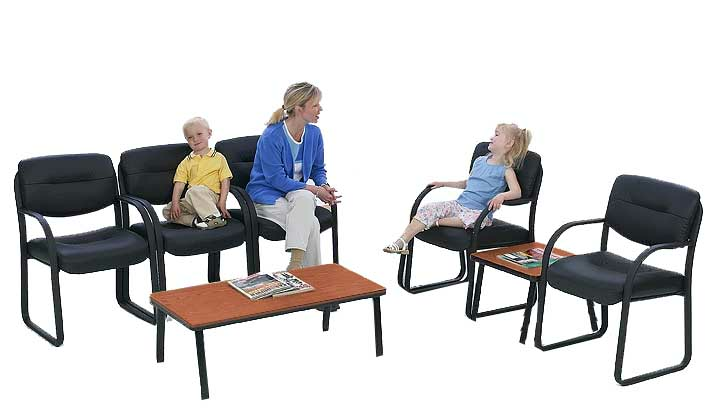 Heavy steel framework provides a solid and durable chair for the busiest of waiting areas. Measures 22-1/2"W x 23-1/2"D x 34-1/2"H overall. 250 lbs. weight capacity.Ships unassembled. Shipping weight 30 lbs. All components exceed ANSI/BIFMA commercial use requirements. Meets CA fire foam approval. 5-Year Limited Warranty. PRICE INCLUDES SHIPPING! IN STOCK! 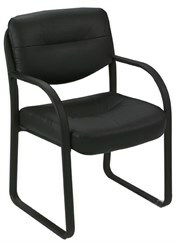 See the SteelWorks Leather Guest Chair video. 1 - 2 $219.00 ea. 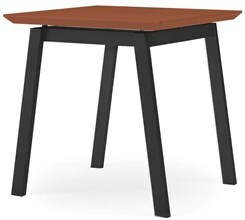 End Table features scratch-resistant laminate table top with steel frame legs. Choose from six laminate finishes and three power coat finishes for the legs. Measures 20"W x 20"D x 20"H overall. Shpg. wt. 23 lbs. Ships unassembled. PRICE INCLUDES SHIPPING! Please allow 1-2 weeks for delivery. 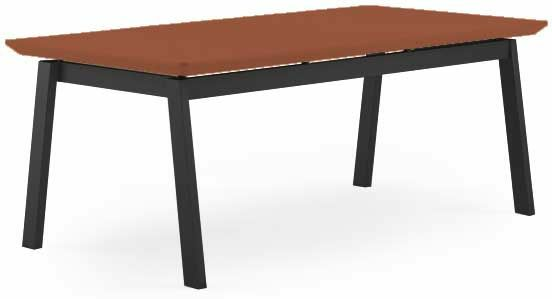 Coffee Table scratch-resistant laminate table top with steel frame legs. 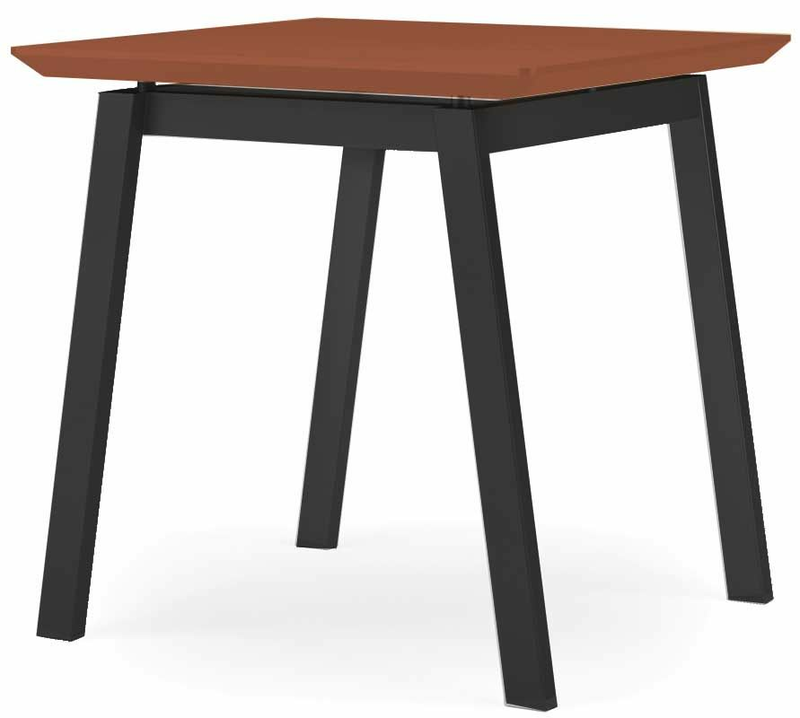 Choose from six laminate finishes and three power coat finishes for the legs. Measures 40"W x 20"D x 16"H overall. Shpg. wt. 34 lbs. Ships unassembled. PRICE INCLUDES SHIPPING! Please allow 1-2 weeks for delivery.